In early 1993, a small group of parish men gathered to explore the possibility of forming a Knights of Columbus council within St. Elizabeth Ann Seton parish. The response, interest and commitment were overwhelming. 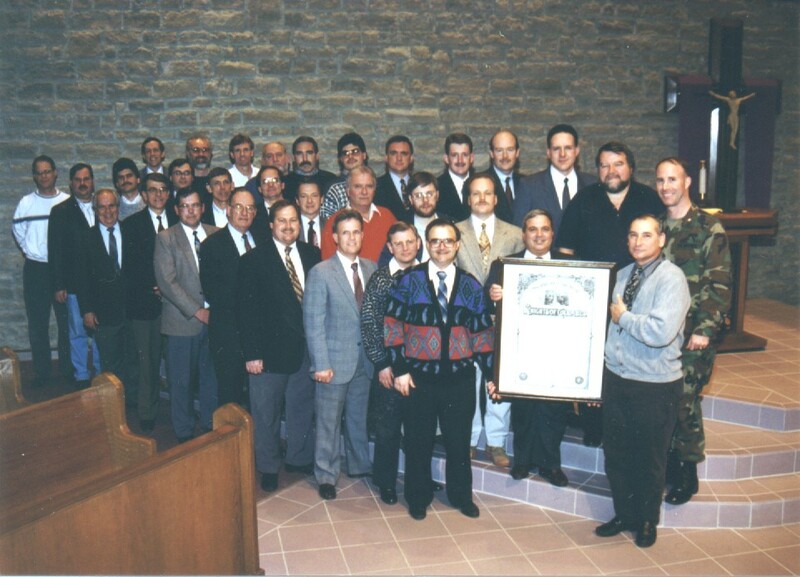 In the fall of the year and on Christopher Columbus Day, Seton Council 11187 was chartered on October 12, 1993. The Council Charter, signed by 70 charter members, is prominently displayed in Bishop Hermann Hall in recognition of our beginning. Today, Seton council has grown to over 230 Catholic parish men and their families. Our growth, prosperity and future lies in recruiting new Knights whom actively participate in our council activities and provide the leadership for our order as we begin the new millennium. Consider membership for you and your family in our "fraternal family".